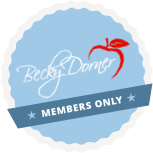 The Great Sodium Debate - Becky Dorner & Associates, Inc. The Dietary Guidelines for Americans recommend limitations on sodium intake. In recent years, new studies have been released that question the safety and efficacy of severe sodium restrictions. This session will outline both sides of the sodium story and discuss how sodium restrictions fit into the overall picture of nutrition care in skilled nursing facilities. Review the sodium recommendations in the Dietary Guidelines for Americans. Discuss emerging research regarding sodium restrictions for good health. Review recommendations for sodium restrictions for long-term care residents with multiple medical problems.